Isabelle modeling for Jeff Hein in his studio. I met an angel today. She wore pink boots. 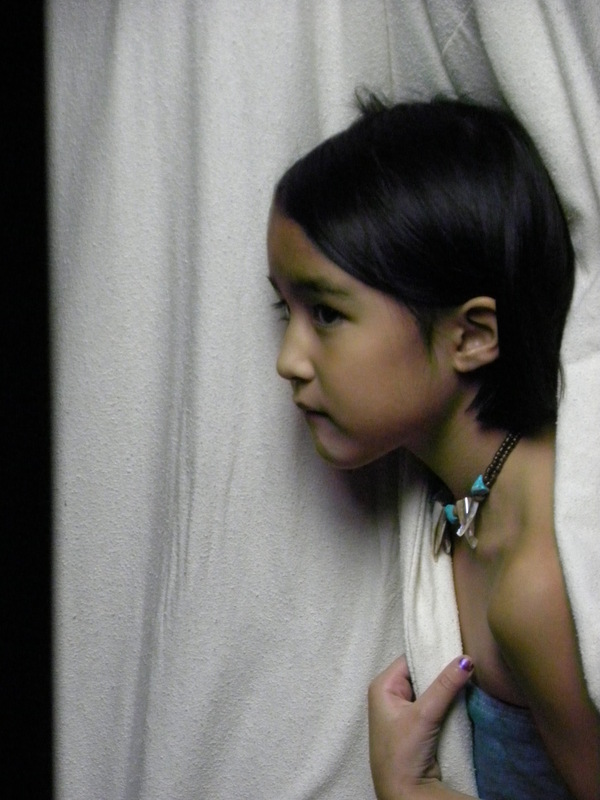 Isabelle, a very beautiful and angelic 7 year old came into the studio as one of Jeff’s models. Jeff was working on the third figure in his painting. He focused on her face and upper body and has her coming back in a day or so to get the rest of her figure and hands resolved for the reference drawing. He will then transfer her to the final painting as he did with the other little girl, using a grid, to make sure that all of her proportions are correct and in the right placement. He was telling me that he will use his drawing of Isabelle to paint in all of her structure, pretty much like a black and white photo would be used. Jeff would then have Isabelle come back in another day to have her coloring and skin tones finished up. Jeff and the rest of us in the studio were so impressed with what a great model she was in holding her stance the entire time she was standing there. 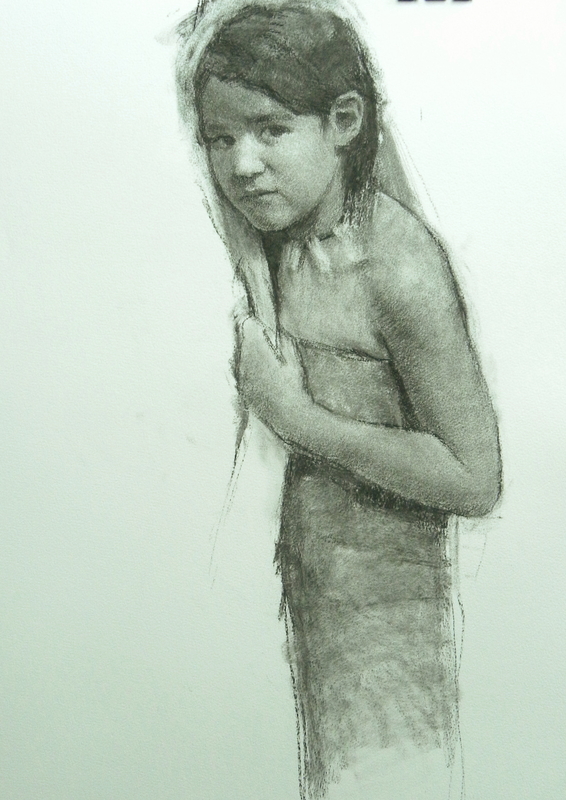 This entry was posted in Process and tagged art, art classes in Utah, Drawing, Hein Academy of Art, jeff hein, painting, Salt Lake City, Utah Art. Bookmark the permalink.